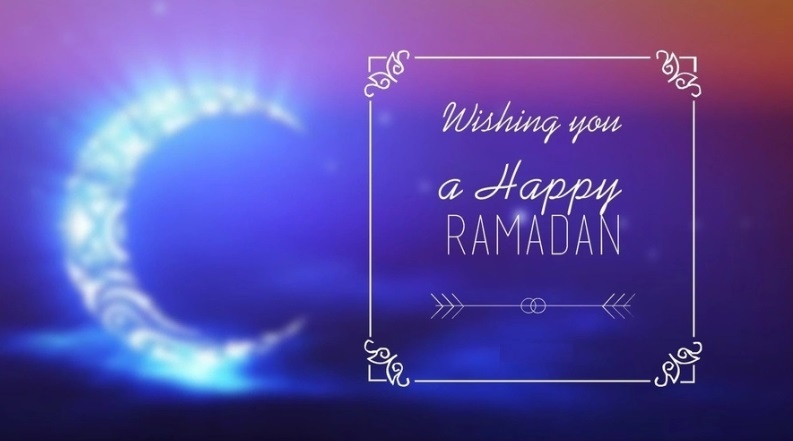 Ramadan is here, which is why we would like to share with you some of the best Ramadan messages you can send to your family. Make sure to congratulate those closest to you this time with the help of our Ramadan greetings. Check them out! For your convenience, we have divided our Ramadan messages greetings into two categories. You can find different wishes for Ramadan Kareem (meaning ‘generous Ramadan’) and Ramadan Mubarak (meaning ‘blessed Ramadan’). So decide which one you want to go for and check out the corresponding category. Begin the sacred season of Ramadan with your heart filled with peace and love, wishing that Allah would forgive our wrongdoings. Let this Ramadan become the start of your enlightenment and repentance. Ramadan Kareem! May this season of Ramadan be enlightening to you and help you clear your judgement and understanding of what is right and wat is wrong; what is true and what is false. I wish you a Ramadan Kareem. May this Ramadan remind you to forgive and forget. Learn to let go of the past and move forward. May it give you enough courage to begin anew. Ramadan Kareem! Let us celebrate, as the season of Ramadan starts here. It fills our life with mirth and happiness, as Allah blesses us once again with cheer and prosperity. Happy Ramadan! As you recite your prayers from Quran, I want to wish you a Happy Ramadan. May it be fruitful and sincere, and may Allah shower you with happiness and wealth. May you gather and enjoy all the promised blessings of the sacred Ramadan. Ramadan Kareem to you and your loved ones. Let this holy season wash away your burdens, ease your pain and be the light in the darkness. May the almighty Allah bless you with the greatest things in this life. Just worship, repent and pray. Ramadan Kareem. This Ramadan, I pray for happiness to be yours. May this blessed day open the door for you towards success and joy. Enjoy Allah’s gifts. Ramadan Kareem! May this Ramadan show you the path to joy and prosperity. I wish you during this Ramadan to find your moment filled with gifts and blessings of peace and love. Ramadan Kareem. Let this Ramadan be a month of compassion, a month of blessings and a month of love. Ramadan Kareem to you and your family! May Allah shower you in blessings during this holy season of Ramadan. Celebrate it and be blessed! Let the divine season of Koran’s revelations be the herald of your success, prosperity, peace, joy and harmony. Ramadan Mubarak! I include you in my prayers during this month of Ramadan, hoping that happiness will knock on your door, and you let it stay with you forever. Enjoy this gift from Allah. Ramadan Mubarak! The blessings of Allah will always be on all of us. Enjoy and celebrate, as we will be given an opportunity to ask for forgiveness and repent once again. Many our sins be forgiven. Ramadan Mubarak. I wish that this season of Ramadan would bring you everlasting prosperity and happiness. Have a blessed Ramadan. As you celebrate this holy season of Ramadan, let your palms be open wide to receive the wonderful gift of sweet serenity and joy from our great Allah. Ramadan Mubarak! May Allah be your guide on your journey through life. I hope that this Ramadan will give you the courage you need to be victorious over life’s misfortunes. Have a blessed Ramadan! I hope you will see happiness when you open your door today, and that you will let it in your home and your heart. Ramadan Mubarak. Here is the recipe for a happy Ramadan. Take a bowl of peace, a cup of love, a teaspoon of care and a tablespoon of truth. Mix it all together with plenty of prayers and enjoy this blessed Ramadan! I wish that Allah will bless you and answer your prayers during this season of Ramadan. I hope that you and the ones close to you are having a blessed Ramadan! Those were only some of our favourite Ramadan wishes. If you want to find more inspiration, click here or here. We also want to wish you a happy and blessed Ramadan, and we hope you spend it with those who matter to you the most.